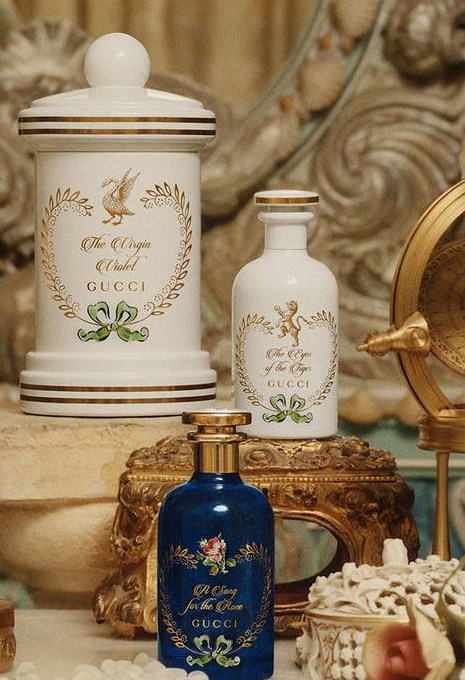 Following on from the first fragrance by Alessandro Michele, for the brand, Gucci Bloom, comes The Alchemist’s Garden. A brand new apothecary-style collection of 14 scents, all the brainchild of creative director and designer extraordinaire, Alessandro Michele, and composed by legendary perfumer, Alberto Morillas. A combination of creative minds that we can certainly get excited about. 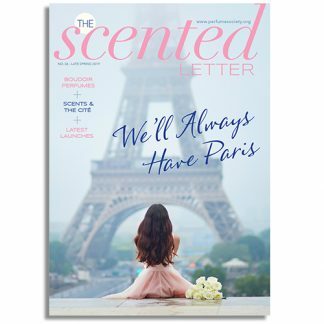 “The idea that some primary scents of perfumery, like the essences of the flowers, the green scent of some plants could be joined to atmospheres, linked to memories. 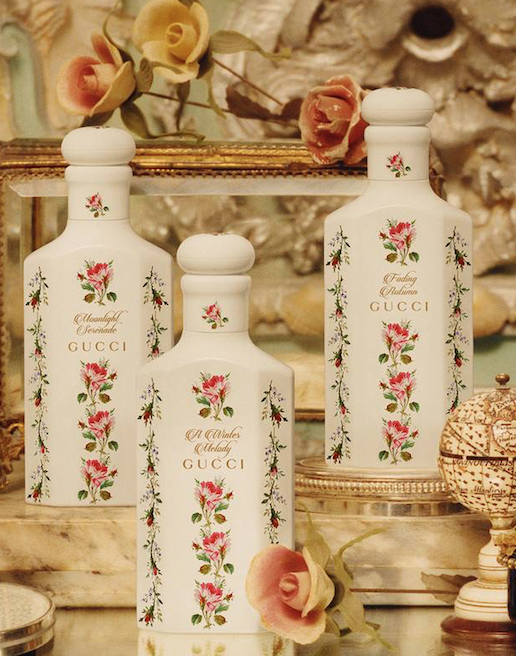 And also link to the idea that a perfume in an alchemical way can through a scent bring you back to a different place, through a sense so strong and so important for every human being,” Gucci Creative Director Alessandro Michele. After collaborating for, what Alberto described as ‘a very intense 18 months’, where Alessandro made all the decisions, and there were no constraints on price of ingredients, they created 14 scents: seven Eaux de Parfums, four Perfumed Oils and three Perfumed Waters (and one candle). 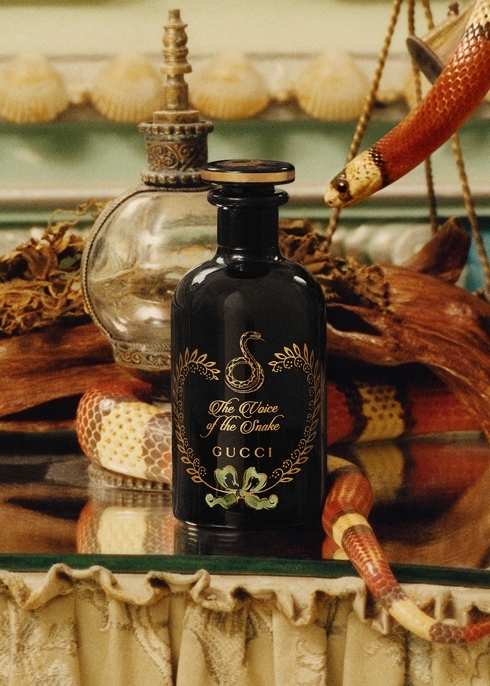 With each assigned a Gucci animal identity relating to the content of the perfume – amber being considered the ‘soul of the tiger’ in China, its scent named The Eyes of the Tiger. 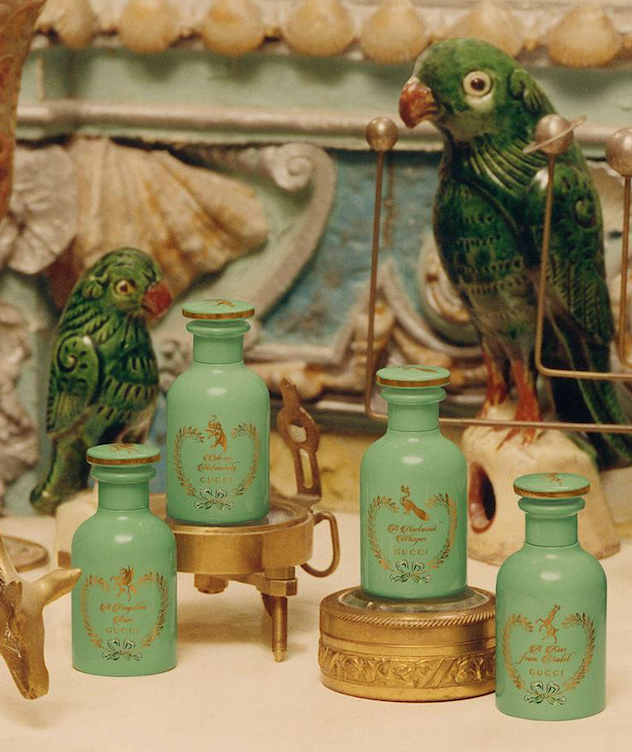 All housed in flacons that echo the style of Italian farmacia, adorned with flowers and gold detailing and delicate illustrations of the animal personalities, they were practically made to be admired on our dressing tables. And with 14 scents in the collection, there is a plethora of combinations to be had. As Alberto Morillas told us at the launch, “The oils and acque profumate create individual statements. 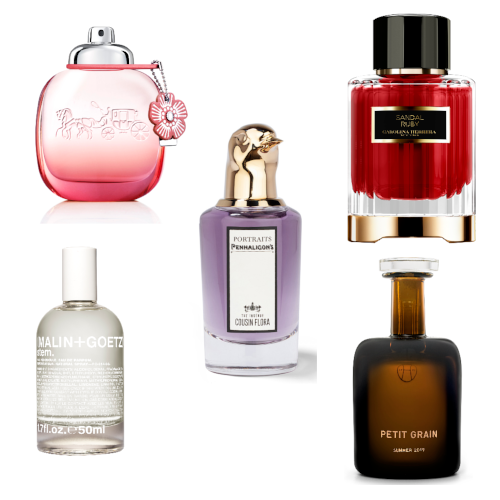 Personalize your beloved scent with an oil or a floral water to build a unique sillage. Each oil or floral water of the collection can be layered with each eau de parfum. 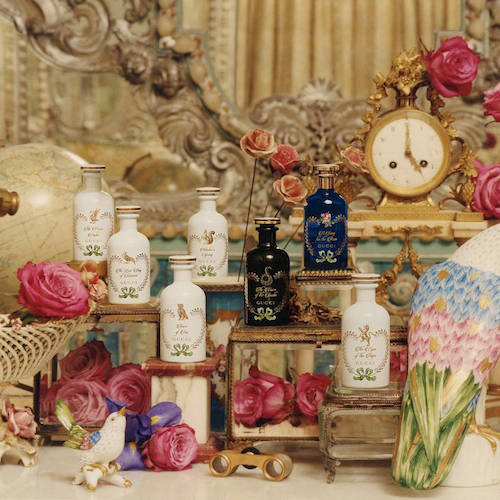 Just play with the scent to find your favorite, as an alchemist would work to find the gold formula”. And so, finally, we give you the fragrances…. Clean and bright, with tingles of greenness, this scent feels akin to thrusting your nose in the heart of a rose. 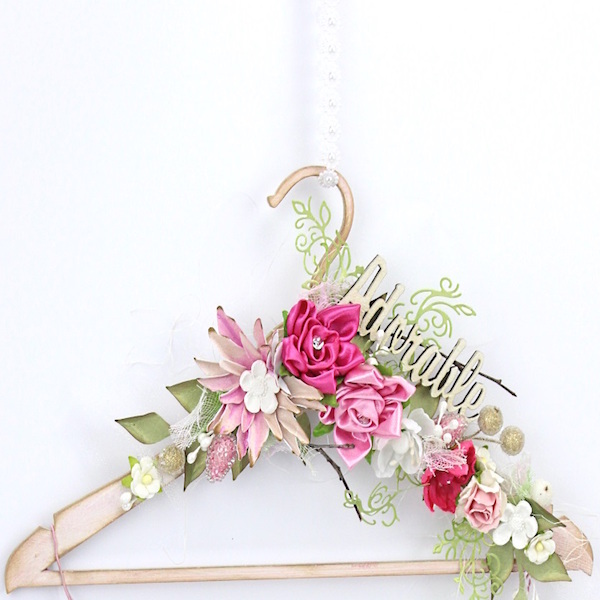 Shrouded by only woods and soft musks, it exudes femininity and innocence. A true rose. A hit of optimism brought on by Mimosa’s powdery pom-pom blossoms in this creation. Starting with an almost vegetal greenness, it soon reveals its unashamedly feminine floral heart. Sprinkled with a touch of tingly pepper to open, and soothing musks to finish. A flower that symbolises wisdom and courage, iris is one of the most ancient ingredients in perfume. Here it is palpably soft, soothed by angelica seeds and downy musks. The femininity, softness and sophistication of a pair of ballet shoes, bottled. Rich and mysterious, Oudh is entwined with dry patchouli and smooth leathers. Whispers of spicy saffron sing through. A scent that demands you come closer. A kind of soothing, clean, almost crisp, violet is created here with powdery iris, downy musks and green violet leaves. A picture of innocence, that later it sheds its purity with an opulent, bold vanilla. Inspired by a particular walk Allessandro took with his father in early Autumn, it is a scent with clear vision. Cedarwood trees and Cypress surround, the crunch of leaves underfoot. Earthy patchouli and crisp vetiver mark the seasons change. Sprinkled with resinous, rich, benzoin and aromatic, honeyed tonka bean, the amber here is not as dark as you might imagine. Delicate woods and sweet Ciste resin make for something deeply comforting. A Winter Melody– A cypress scented water, this will give an uplifting fresh, greenness, along with a camphorated facet to any blend. Fading Autumn– All about the woods, this soft-as-a-caress perfumed water adds a depth and richness to any combination of fragrances. Moonlight Serenade– A more classical note of lavender was chosen for this acqua profumata. It will tinge the eaux de parfums in a gentle way with its aromatic scent. A Kiss from Violet– an oil that walks a tightrope between powderiness and verdancy. Sure to bring any delicate facets, of this nature, out in anything its paired with. A Nocturnal Whisper– an oil that heroes oud, in all its complexities. Dark, potent, woody intensity, it’ll add an animalic profile to whatever its layered with. Ode on Melancholy– a combination of woods that feels vivid and vibrant, fresh even. Whilst still retaining the cosy, enveloping nature of woods. A Forgotten Rose– the scent of a thousand roses, dewy, green, fresh. 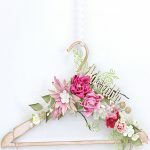 A burst of floralcy.